My SharePoint site thr owing 500 internal server errors ? My SharePoint Server drive full? Can I user keep the same look and feel in SharePoint as in their other website? Yes, user can design the SharePoint site same as any other websites. Users can drag drop files onto SharePoint document library and from there user can use those files to design the template (Look and Feel). Can multiple users work on the same document simultaneously in SharePoint? Yes, each user can work on the same document at once, there you can maintain versioning and you can see the real-time changes and who modified. Does SharePoint search the contents of files instead of searching by filename? Yes, search is like a web search for your enterprise or business. Its continuous crawl the data and you can find anything within the site. Can we assign unique permissions to each employee in SharePoint? Yes, you can provide different/specific permissions for each user. There are few default permission level but you can also customize own permission. Like you can provide only visit permission to one user who can just read the document and site, contribute or edit permission to one who can edit create delete document and contents etc. Can we see the previous file versions in SharePoint? Yes, SharePoint provides versioning and which is unlimited. You can go to the document versions and can select the specific version you want. What is checkout and how do I see who has a document checked out? If anyone is editing the document/page then the document or page get checked out which inform other users that the document is being edited by another user. Can we access SharePoint on mobile? Yes, SharePoint is mobile enabled by default. There are 2 view options mobile view and PC view, depending on your company’s version of SharePoint. Users who are connecting site with their mobile can switch the view by just clicking on settings and then follow the instructions. Can SharePoint handle all of the users in organization? Yes, SharePoint supports unlimited users so you can add as many users as you want. Can SharePoint support Active Directory users? Yes, you can add Active Directory users in SharePoint; you just need to configure your AD in Central Admin. Does SharePoint secure the data that is sent over the internet? Yes, since it is a part of Microsoft Office 365, it provides the same security environment which includes network security, access security, and data security. 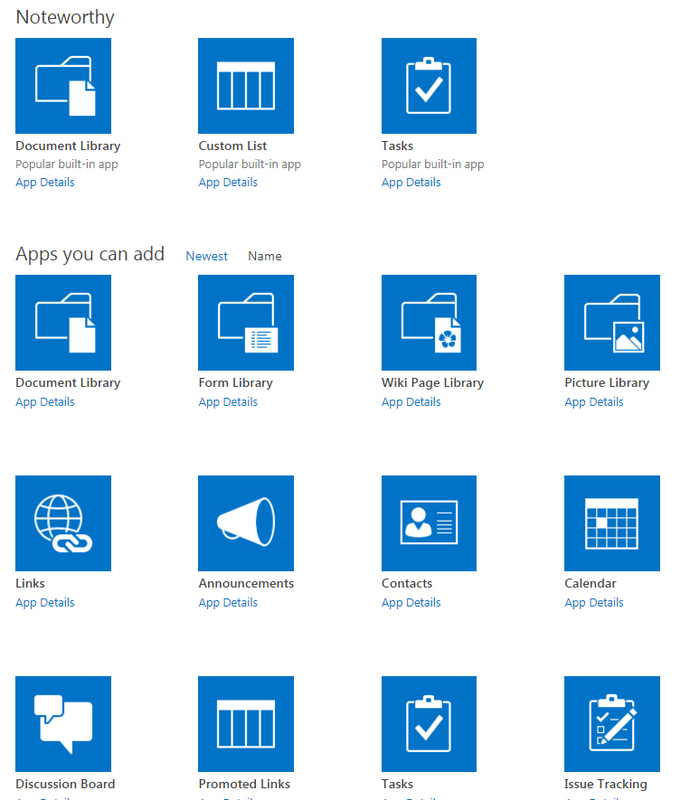 What are the different Libraries are in SharePoint? SharePoint is a web-based collaborative platform. SharePoint is basically used for document storage. Instead of using local or shared drive SharePoint gives you smart storage system. SharePoint provides libraries and lists to manage information where lists are like excel spreadsheets and the list reside in SharePoint and available for many people at the same time according to their permission. Here we can track changes from multiple users. Libraries are used to manage the document same as drive we can create multiple folders in libraries and also manage files according to user defined categories and subcategories. Basically SharePoint provides all the web-based features and capabilities to create, review, update, and delete a list, or items in a list. In very simple language SharePoint is a tool for sharing contacts, calendar appointments, tasks, or data like pictures, document etc. with team members and site visitors according to permission level. Site is used to organize various types of content like pages, web parts, lists, libraries and subsites etc. 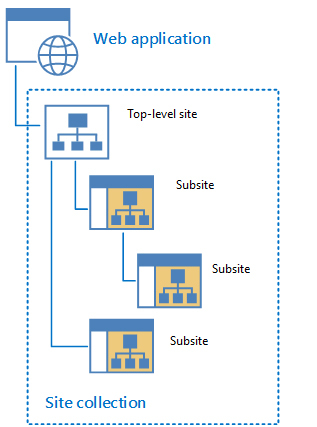 So basically Site is your Top level Root site and all other you create in same site collection will be your subsite. Apps are used to share information, data with people in organization or outside the organization like visitors. There are 3 types of pages in SharePoint wiki pages, publishing pages and web part pages. Making changes in a wiki page is very easy process. When click on the edit button from the top ribbon it immediately appears in editor’s form of the page and you can make changes and simply click on save. Once you hit save the page will immediately display the new changes on page. You can first edit the page and check with your user and then can publish for all others. With publishing pages, after editing you can just hit publish.in case you’re stressed over hitting that catch too soon, you can set a timer to be sent to a specific individual to favor your substance before it goes live. A page which can show a total of data from different sources. Web Part pages can show numerous sorts of information, including records, other site pages, query items, or information retrieved from different servers. When using SharePoint Online, you have pay only for what you use. SharePoint Online provides you solution and functions flexibility. SharePoint licenses help you in reducing costs associated with licensing cost/fees. SharePoint is designed for users to access anywhere with Microsoft security. SharePoint provides easy collaboration, instead of distributing information across departments, teams it provides content hub to share real-time information with department and team. 4. Share Data and Information. Users can share data and information and which will be completely secured. User can update and share the same version which keeps everyone on the same page. SharePoint also make sure the sensitive information and documents prevent from unauthorized access. Microsoft provides access to easily migrate your documents and data to OneDrive for Business which integrates with SharePoint. Documents and data can be moved from Dropbox, Google Drive etc. SharePoint gives two essential approaches to oversee data: libraries and records. Records resemble spreadsheets which comprise of lines and columns.This looks like Database table and you can oversee sections as indicated by your prerequisite. A library permits colleagues to cooperatively make, gather, refresh, and oversee records/archive. We can utilize default library applications to make new libraries. Contingent upon SharePoint form, consents. 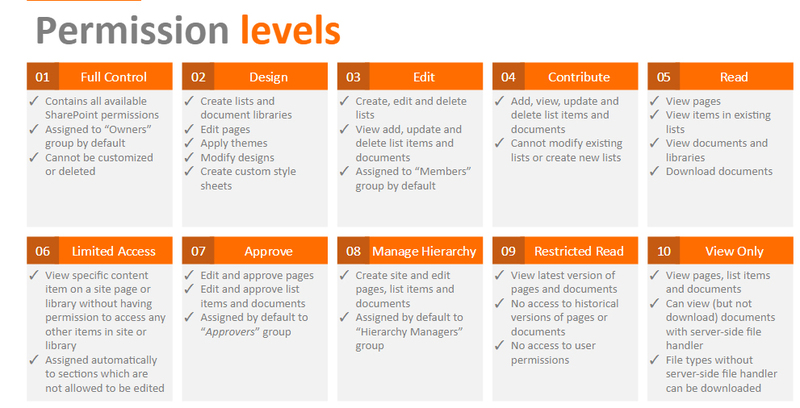 SharePoint list and Libraries provide a host of features to easily store, modify, group, filter. A workflow is a set of decision and task with one or more outcomes. SharePoint gives an arrangement of layouts used to produce work processes that are intended to expend less time and endeavors to perform assignment all the time. SharePoint provides basic search feature that allows users to enter and execute a search query against indexed data in a SharePoint Server Farm. Search execute in the current site and any sub-sites. The search application is basically a query web part that processes query and returns a set of search results contains or match with query. Search results contain links to documents, libraries, list items, lists, web-pages, or sites. To search anything related to site you can click on search box provide at the right side upper area. User can enter any word in that to get related information.